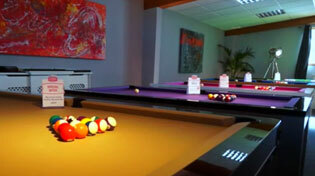 Choose from the UK's largest range of pool table cloths. Pick a logo, a pattern, or go for a colourful upgrade. We supply your cloth with free delivery for you to fit yourself or we can fit it for you. Pool table cloth is extremely important both for giving your table the play quality you deserve and for decorating your table to match your taste, and at Home Leisure Direct we offer a fantastic variety of pool table cloths from the top brands in the sport. All of our pool table cloth is of the highest professional quality. We can provide you with a range and choice that will be sure to provide you with the perfect cloth for your needs, whatever you're looking for. If you're looking for something more personalised, we stock an incredible range of patterned cloths, coloured cloths and logo cloths. You can have anything you want on your table cloth, be it a specific colour, a crazy pattern or a company logo. We even have exclusive deals with a selection of UK Premiership football teams, meaning you can use their logos on your pool table cloth when you buy it from us, as well as a similar exclusivity deal with world-famous bourbon manufacturer Jack Daniel's.